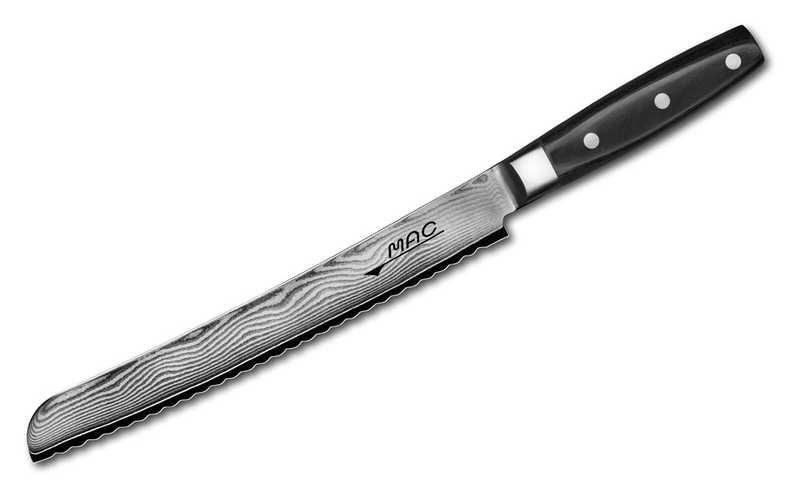 MAC Damascus knives have a similar feel to the MAC Professional Series with the same 2.0-2.5-mm. thin blade for less wedging into cuts. The bolster on the handle is for added weight and better balance. Features traditional European shapes with a straight handle and pointed tip. Designed with 64-layers (32 layers on each side) of our original steel, creating a unique Damascus grain pattern. The center core is made of Molybdenum, stain-resistant alloy. The oversize handles provide perfect comfort for any size hands. Made in Japan with a 25-year warranty.